How'd That Black Burger King Hamburger Taste? Let's Find Out. Well, I guess there technically are words, but man. Just. Look. At. That. 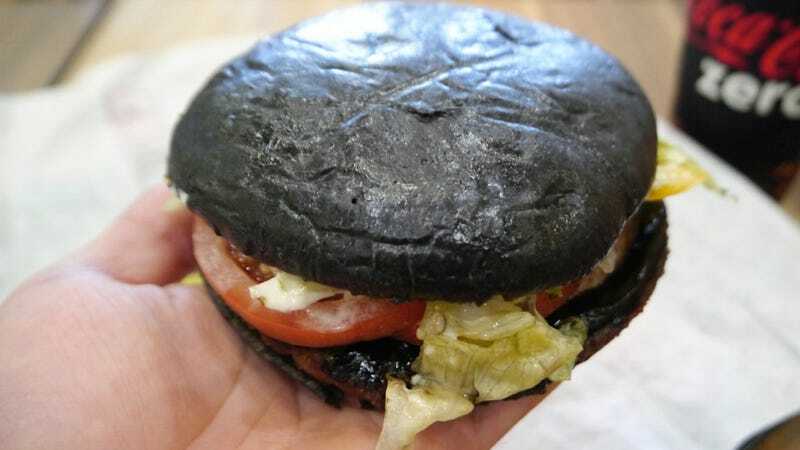 Previously, Kotaku posted how Burger King Japan was unleashing a "Kuro Burger" ("kuro" means "black" in Japanese) with black ketchup, made from squid ink and garlic. Japanese website Gigazine took one for the team and ordered the meal. How did it taste? According to Gigazine, it was good, but tasted like, well, a Burger King burger. No big surprises, which might have been the biggest surprise. "Certainly, the black appearance makes a big impact," noted Gigazine, "but the taste was surprisingly traditional." So never judge a burger by its buns? Or something.